I’m baaack at it! Did you miss me last week while I was bumming around? Now is the appropriate time to nod encouragingly. Yes, just like that. I missed hanging out here too! I hope you liked my trip report of Great Falls and the Paterson Museum. How about my new dining table? Anyone else have a project that just doesn’t go according to plan? If you want to see an outtake (or is blooper a better word?) from the dining table photoshoot, head on over to my Facebook page. I think the photo demonstrates just how glamorous my life really is. I love a good theme! 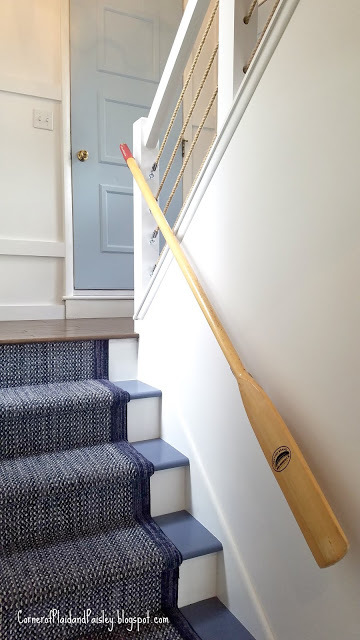 Ann from Corner of Plaid and Paisley did such a good job with this nautical themed entry and stairs in her lake house. Go give her some love and see more pictures from this space! A friend shared a blog post from The Young Family Farm on Facebook that I had to share with you. It specifically addresses back-to-school, but there are so many applications for the ‘bigger picture’ from this blogger’s perspective. If you’ve ever built a sand castle or defended your kids or jumped to conclusions before you listened, I think it’s worth a read. Read it here. If all carports looked like this one, carports would be more popular design features. Guys. I know NOTHING about weaving, but I found the blog The Weaving Loom to be HIGHLY mesmerizing. Seriously. It’s been down the rabbit hole for me. Kate’s tutorials (and I’ve read quite a few – like I said, rabbit hole) actually make me think I could become a weaver. Is that the correct term? Weaver? 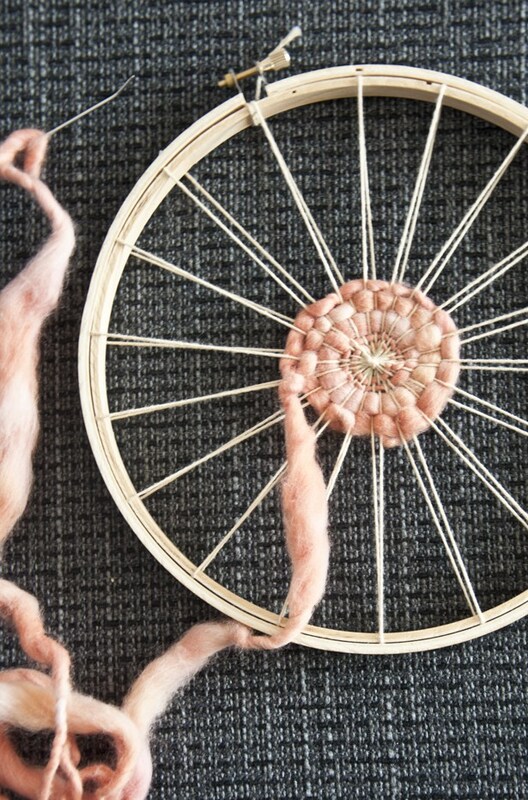 I’d like to try making this ‘wheel’ from an embroidery hoop just because the symmetry is so satisfying! 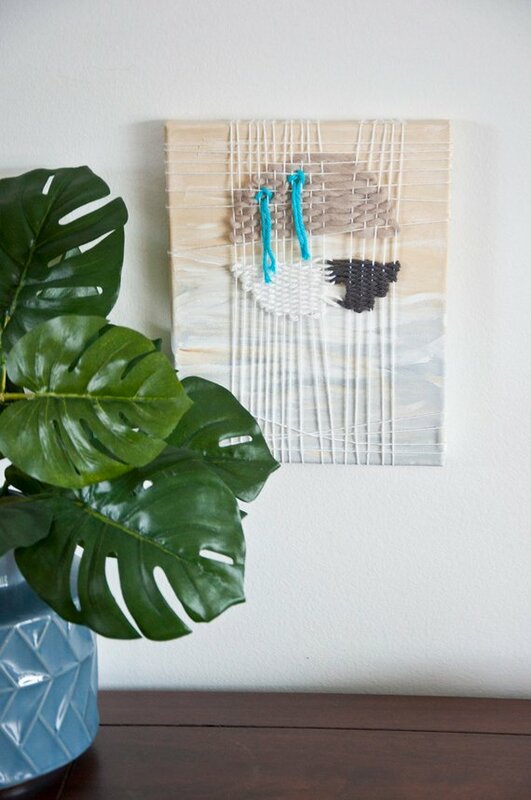 Then I realized she has an Etsy shop and I had no idea people wrapped canvases with tapestry/weaving. Again, the correct terminology escapes me, but I have’t seen this in anyone else’s home. You? On a somewhat related note, you should also read the article Why This Algebra Teacher Has Her Students Knit in Class from Popular Science. It was very interesting. Plus, you know you want a reason to drop ‘Popular Science magazine’ into conversation. Do you love acapella music as much as I do? Let’s be BFFs then. I recently discovered the group called Vineyard Sound from Martha’s Vineyard. It’s a acapella group that has been around for almost 30 years. The members change from year to year and it sounds like the COOLEST summer job ever. I could not stop smiling while listening to this rendition of Run Around Sue, which is actually not a smile-y sort of song if you listen to the lyrics. Just watch the guys in the background. They cracked me up! If you listen to Spotify, Vineyard Sound has more recent albums on there to enjoy as well. On a side note, who wants to go to Martha’s Vineyard with me? 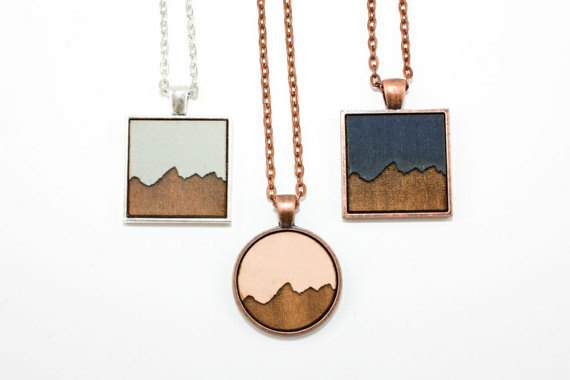 I thought these mountain-engraved necklaces were fun. They are by an Etsy shop called Once Again Sam. 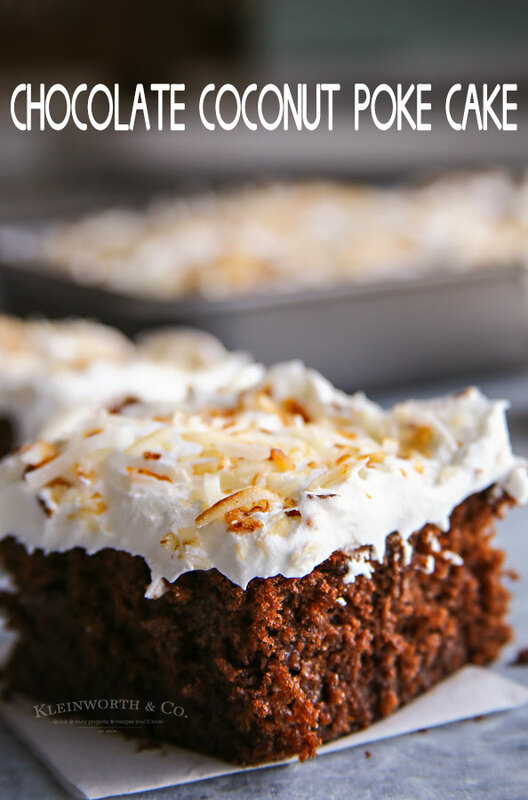 Well, this Chocolate Coconut Poke Cake by Kleinworth and Co. looks like it doesn’t have any calories, which means I should probably make this straight away! Happy Friday, everyone! Enjoy the weekend and hopefully, a big piece of cake!